New president Margie Hancock welcomed the new year. 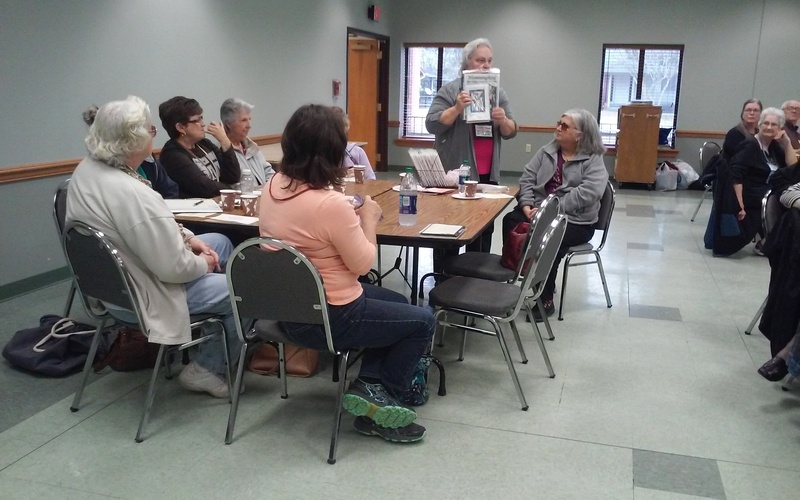 Barb Peters read “The Twelve Days After Christmas” to the group–a comical play on words from the traditional poem/song. 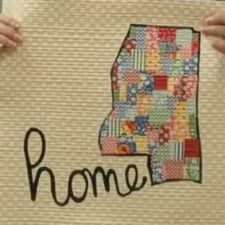 Our program was by Nancy Lee from The Fabric Dock on Hwy 49S in Wiggins. 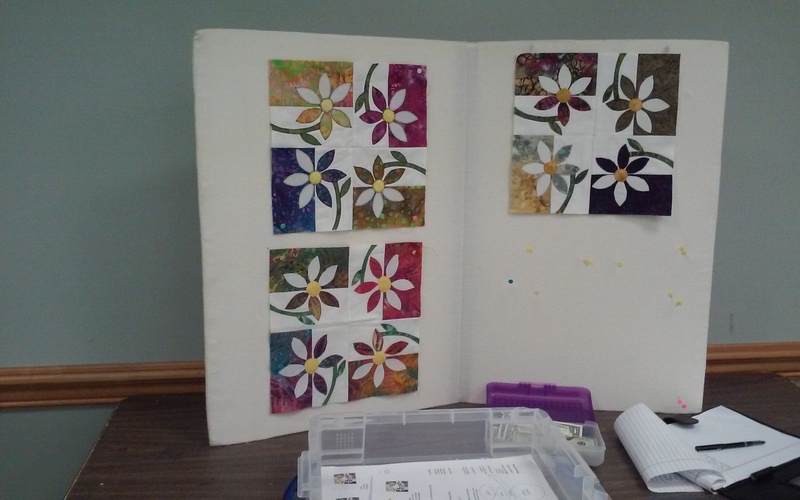 She brought many samples and patterns for fabric collage. 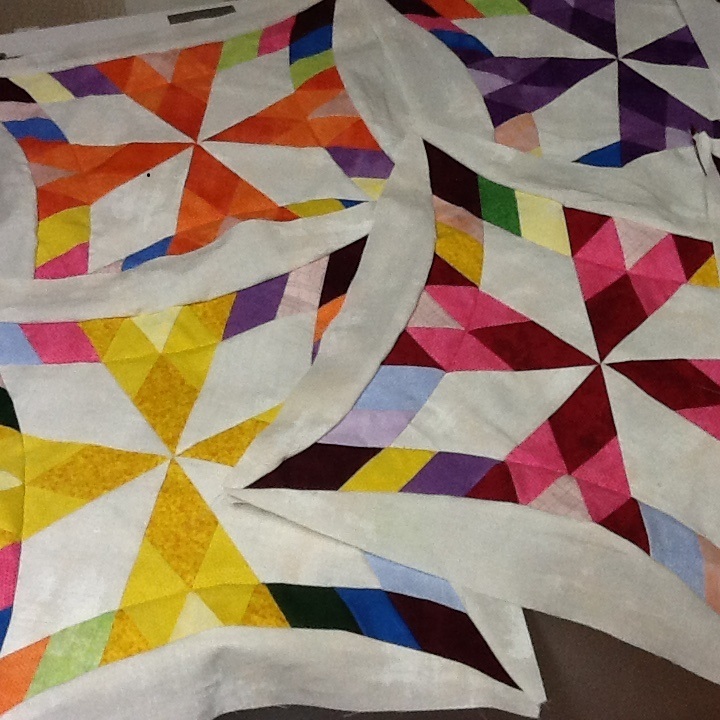 Nancy constructs these pieces on Pattern Ease, using Steam-a-Seam. 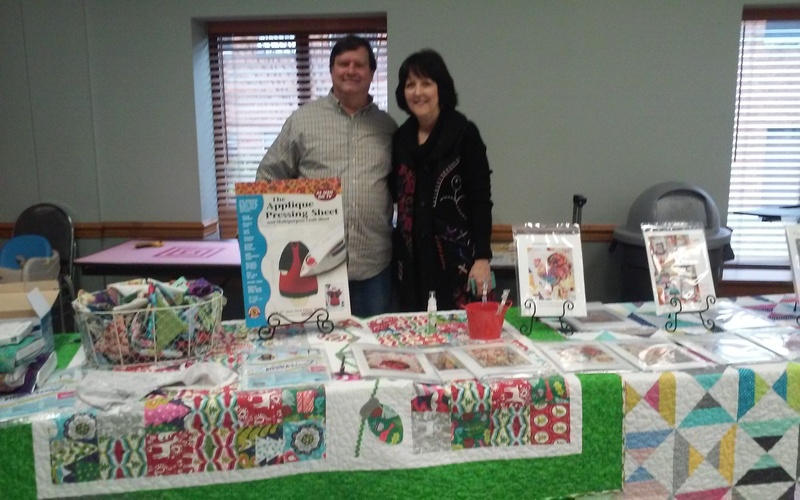 She offered 20% off on all purchases at the meeting and also gave the members a 15% discount coupon to use online or at the store. Her hours are Wednesday-Saturday, with a Coffee Club at 9:00 a.m on Thursdays. See the website www.thefabricdock.com. 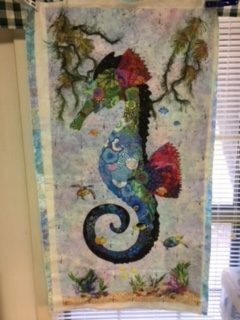 Hulda Ingram showed The Stitchin’ Post’s patterns and reminded members of a 20% discount in the store on each PBQ meeting day (2nd Wednesdays). 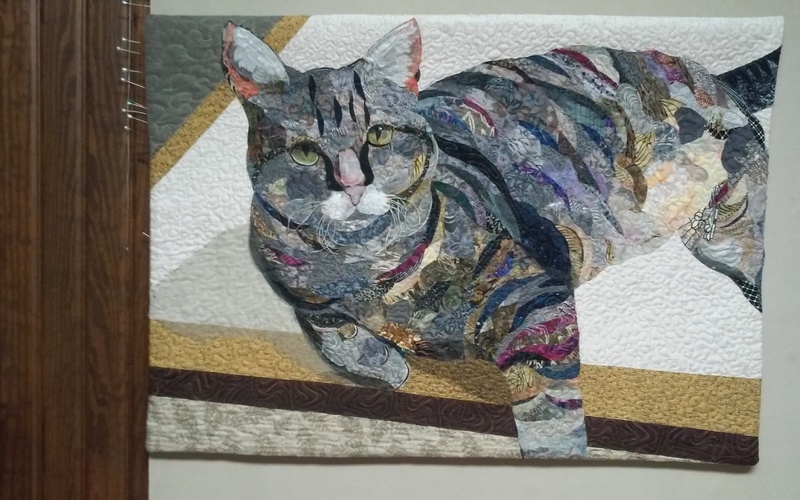 Examples of fabric collage were also shown by Susie Jackson, Dianne McLendon, Elle Gill, and Martha Ginn. 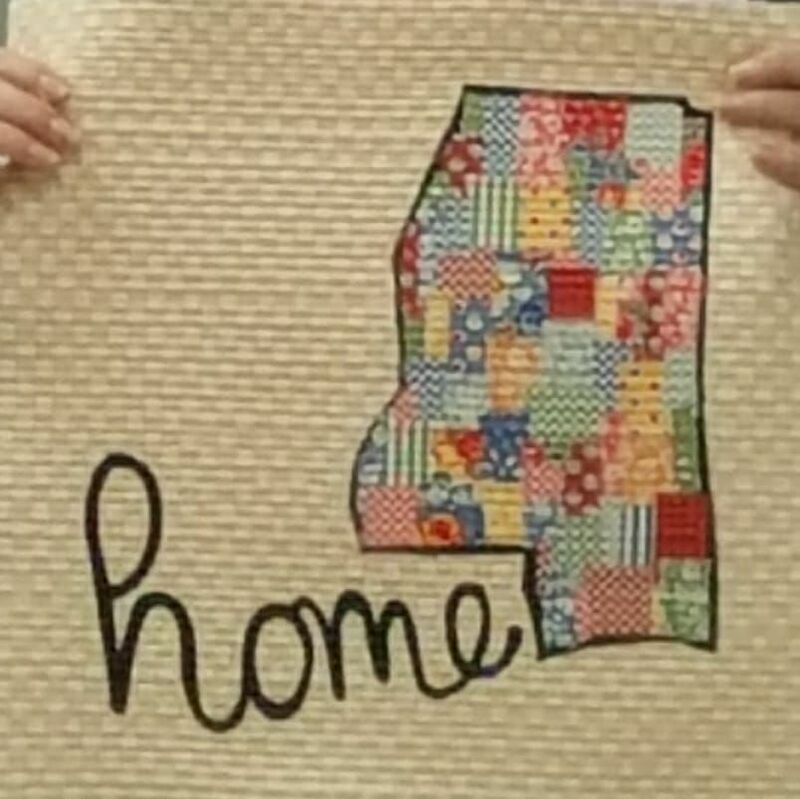 Susie will conduct a workshop (Thursday, January 25) on the Mississippi block she showed. Missy Lee presented our 2018 budget for approval. Our dues ($20/annually) are not sufficient to keep bringing in national teachers for meetings, so during show years (even-numbered years), it is vitally important that each member helps with raising funds: (sell raffle tickets, contribute boutique items, and donate Silent Auction items). 2018 UFO Challenge: Dianne McLendon presented the plans for our 2018 challenge. 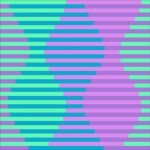 This challenge is to encourage/push/guilt us into finishing UnFinished Objects! Quilt show year is the perfect time to pull out projects and finish them. The abbreviated rules are: On the UFO Challenge Sheet, lists six UFOs in number order that were begun BEFORE January 1, 2018, and turn in this Sheet to Lois Womack. 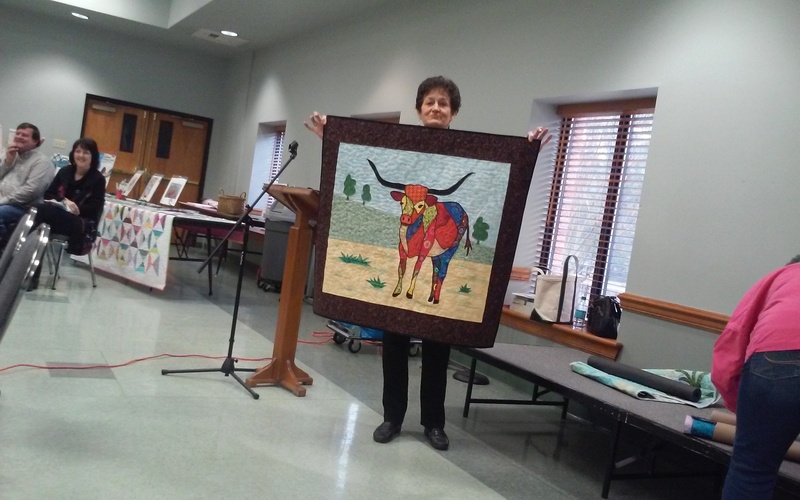 Numbers will be drawn, with the quilt that corresponds to that number from your list finished and presented two months later. Finished quilts can earn fat quarters, with a drawing for the $100 prize at the December meeting. Complete Rules and sign-up Sheet can be found here. Or go to Guild Activities/2018 UFO Challenge. Perfect Attendance: Eleven members had perfect attendance during 2017; Sarah Ketchum’s name was drawn for the perfect attendance prize. Be sure to sign in at the Attendance table at each meeting. 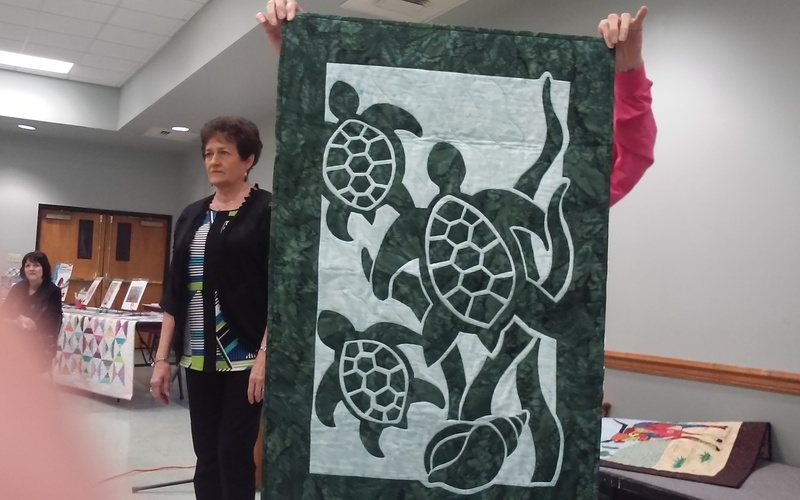 Quilt Show: Martha Ginn asked us all to think about what we were working on to enter the show. She also asked for volunteers to fill show committee responsibilities. Categories will be decided and announced soon. Charitable Activities: Today we received 13 children’s quilts, 33 blankets, 10 mother pads, 39 pillows, 17 walker totes, and 6 catheter bag covers. Bonnie Bolt has prepared kits ready to create CQs. Be sure to pick these up and bring back to the meeting (or CQ workdays on first Tuesdays) when they are finished. 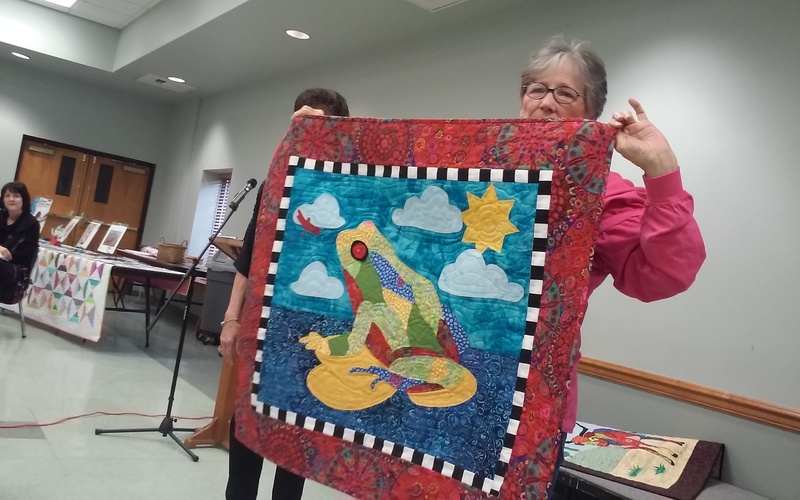 February meeting on 14 will feature Interleave Quilts with Jackie Watkins as the speaker. Jackie will present a workshop on Thursday, March 1 in Choral Hall.